It’s referred to as the Jerusalem Question: How will the partisan issues that divide the City of Peace ever be resolved given the seemingly opposite and intractable positions of the two peoples who call it not only their home but their capital? 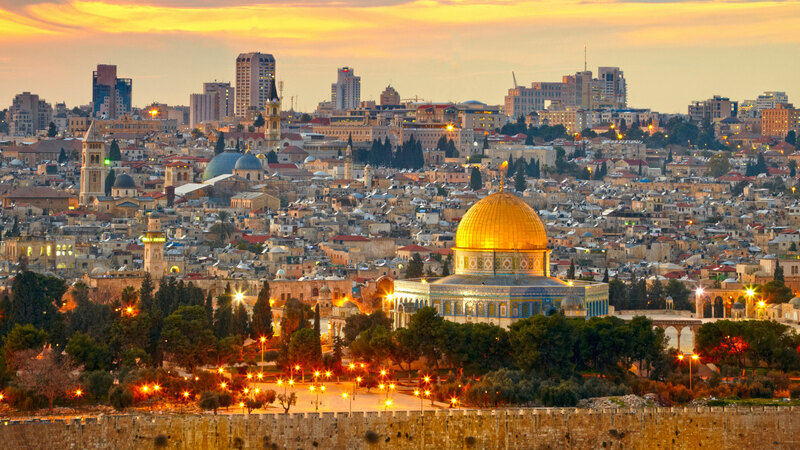 Jerusalem is the contemporary heart of the Middle East’s great geographic and cultural arc. It is also at the center of the more-than-100-year conflict between Arabs and Zionists, and it stands today at a seeming impasse between the two. Both sides identify strongly with the ancient city for historical, social and political reasons. Adding to the current deadlock over the city’s future is that Jerusalem is home to three world religions—Judaism, Christianity and Islam—bringing all the contrary passions that religious fervor can ignite. As the new century dawned, the Palestinian-Israeli conflict became centered on one essential square kilometer—Jerusalem’s Old City—within which lie the ancient symbols and trophies of these now opposed identities. Clearly Muslim and Christian Palestinians and religious and secular Israelis have multilayered identifications with the Old City and its associated holy sites that will continue to be central to any resolution of the Jerusalem Question. Reserved for final-status negotiations, the city, with its core historical and religious elements, constitutes a potential deal breaker in any proposed peace agreement. “The Quartet,” composed of the United Nations, the United States, the European Union and Russia, represents various political, strategic and sometimes religious interests. The UN has had a vested interest in seeing peace conferred on the Middle East since Britain announced in May 1947 that it would turn over its mandatory powers to the world body. The UN assumed that role and has sought unsuccessfully to resolve the Israeli-Palestinian conflict in many ways since then. In the aftermath of World War II, the United States became Britain’s successor in the so-called “arc of empire” that stretches from the Persian Gulf to the Mediterranean. The European Union has a stake in the lucrative trade opportunities of the developing Middle East and, like the United States and Russia, a strategic interest in its oil supplies. Each member of the Quartet also represents its own religious special interests in the region. This is especially true of Jerusalem, where there are, among others, Ethiopians; Maronites; Orthodox and Reformed Jews; Armenian, Greek and Roman Catholics; Armenian, Coptic, Syrian and Russian Orthodox; Anglicans; Baptists; Lutherans; Evangelicals; and Mormons. Beyond the immediate Israeli-Palestinian orbit, the Jerusalem Question is on the lips of many peoples, including Moroccans, Iraqis, Iranians and Turks, to say nothing of “the Trio” and “the Quartet”. Outside interest in Jerusalem goes back a long way. For example, medieval Christians placed the city at the center of their spiritual lives because the Roman Catholic and Orthodox churches sanctified physical Jerusalem. As a result, and in the absence of geographic knowledge and appropriate technology, their maps showed Jerusalem at the center of the globe. A separate, earlier Jewish tradition also named it the omphalos, or navel, of the world, and yet another the birthplace of the cosmos. Mirroring these conceptions in some ways, the modern world seems to have returned to such images, and Jerusalem has become once more the center of the world’s attention. Here we begin a two-part examination of the centrality of Jerusalem in Jewish/Israeli and Arab/Palestinian thought. Part One will focus on the Jewish/Israeli perspective. As long as deep in the heart, The soul of a Jew yearns, And towards the East An eye looks to Zion, Our hope is not yet lost, The hope of two thousand years, To be a people free in our land, The land of Zion and Jerusalem. Thus the longing for a return to Zion/Jerusalem has haunted the Jewish imagination across many generations. This was and is a community with a particular land and city perpetually in view. Jewish legend names the rocky outcrop on the Temple Mount the “Stone of Foundation,” covered since 692 C.E. by the Muslim shrine, the Dome of the Rock. It is said that here the universe began and Adam was created. Further, the biblical patriarch Abraham is believed to have attempted the sacrifice of his son Isaac at the same location (see Genesis 22). The rock could also be the threshing floor that Judah’s King David bought from Araunah the Jebusite (see 2 Samuel 24:18–25), creating, according to the Zionist view, a right to ownership superseding any Arab claim. The outcropping is also believed to be on the site of the First Temple of King Solomon (the central rock serving as the altar), or perhaps the location of the sanctuary of the Holy of Holies within that temple. It is generally accepted that the Second Temple also stood in the same location. Following the Roman destruction of this temple, all that remained were the great platform and the outer retaining wall. Banned from setting foot within the city during the reign of Emperor Hadrian (117–138), Jewish worshipers could only bewail the Second Temple’s destruction from the nearby Mount of Olives. Succeeding generations were limited in their access, first by the Roman Christian rulers’ antipathy for the “murderers of Christ,” and later by Muslim control of the city. Further, Zion is a future image. Buber referred to the book of Isaiah as “the templocentric book par excellence in the corpus of Israelite prophecy.” Isaiah’s prophecies brought back together land and people in a vision of a future where Zion would be the center of the redeemed world and the throne of its king. Efforts by the Jewish community in Palestine to improve the circumstances surrounding worship at the Western Wall were first made in the 1830s. The Egyptian occupation of Palestine (1831–40) brought a more tolerant regime as far as Jews and Christians were concerned. As a result, there were attempts to construct a new synagogue and to gain rights over Muslim property. These approaches were rebuffed, however, because of Ottoman restrictions on foreign Jews buying property in and around Jerusalem. Then in 1838, the British government opened the first European consulate in Jerusalem, and the following year its representative took on the task of helping Jews. In one instance the consul approached the viceroy of Egypt, Ibrahim Pasha, on behalf of a British Jew who had made an offering to fund the paving of the street in front of the Wailing Wall. According to Palestinian historian A.L. Tibawi, this was a cunning attempt “to acquire a vested interest in the Wailing Place.” The whole area was a Muslim waqf, a religious endowment created in the 13th century by the son of the famous Muslim conqueror of Jerusalem, Salah al-Din. It had been protected for six centuries under the auspices of the North African sheikhs of Jerusalem’s Mughrabi district. So while Ibrahim Pasha agreed to the request, his committee in Jerusalem turned it down with the firm support of the local sheikh. In 1852 various international governments and religious bodies accepted the so-called status quo arrangements governing the holy sites in Palestine. These arrangements allowed the several religious faiths of that period limited access and freedom of worship at the sites. In the case of the Jews, they were permitted to worship at the Wall without specific rights. Jewish efforts to buy the Wall itself were made without success in the 1850s. At the same time, the British consul continued to make attempts on behalf of both Christians and Jews to allow construction of religious buildings in Jerusalem. British foreign secretary Lord Balfour's famous letter to the head of the Zionist Federation in Great Britain, Lord Rothschild. When the British government’s Balfour Declaration, favoring “the establishment in Palestine of a national home for the Jewish people,” was signed in 1917, the Zionists attempted once more to improve the Jews’ limited access to the Wall. Activities at the Wall in 1918 elicited Arab fears that the Jews were attempting to create an outdoor synagogue. 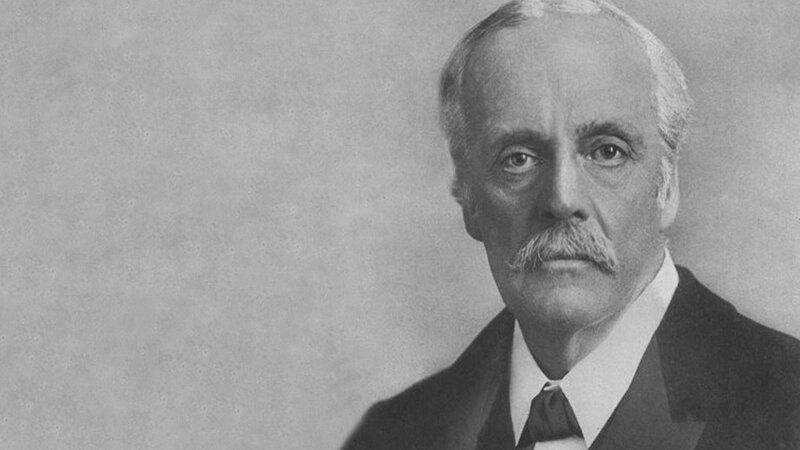 Then the inclusion of the Balfour Declaration in the League of Nations Mandate, by which Britain governed Palestine following World War I, encouraged the Zionists to press for unlimited rights of worship at the holy site. Further conflict over the use of the site in 1928–29, in which 133 Jews and 116 Arabs were killed, resulted in a reaffirmation of the religious status quo rules by the British authorities. In the 1948 Arab-Israeli war, the surrender of the Jewish Quarter and the capture of the Old City by Jordan prevented access to the Wall by Jewish worshipers for the next 19 years. Colonel Mordechai “Motta” Gur was in command of the first soldiers to arrive at the Temple Mount and the Wall. He told his paratroops, “It is impossible to express what we feel in words. We have been waiting for this moment for so many years.” When he finally went to the Western Wall himself that day, he connected with his own past. Gur had been born in the Old City. He later wrote: “Despite the great congregation, I had to undergo my own private experience. I did not listen to the prayers, but raised my eyes to the stones. . . .
On June 12 he assembled with his men on the Temple Mount once more and spoke to them even more pointedly in the language of identity: “You restored the Mount to the bosom of the nation. The Western Wall—the heartbeat of every Jew, the place to which every Jewish heart yearns—is once more in our hands. . . .
“During the  War of Liberation, mighty efforts were made to recover for the nation its heart—the Old City, the Western Wall. These efforts failed. Another of the first Israelis to reach the Temple Mount in 1967 was the military chaplain, General Shlomo Goren, who two years later became Israel’s chief rabbi (1969–79). He blew the shofar and prayed intensely that day. He also suggested to Major General Uzi Narkiss that the latter could go down in history by taking a hundred kilos of explosive and destroying the Dome of the Rock. This was revealed 30 years later when Narkiss was dying and told a newspaper reporter the story. The power of identity and the historic moment possessed Goren. He said to Narkiss: “You don’t grasp the immense meaning of this. This is an opportunity that can be exploited now, this minute. Tomorrow it will be impossible.” It was Goren’s conviction that the Jewish temple should be rebuilt. In this he was supported by the minister of religious affairs, Zerach Warhaftig, who held that the Jews own the Temple Mount as a result of King David’s purchase from Araunah the Jebusite. Understanding the awful implications, Narkiss was quick to tell his colleague to forget any such idea. For his part, Moshe Dayan gave immediate orders for the clearing of Arab houses adjacent to the Western Wall. The work was accomplished in 24 hours. In the process, the Israeli government and the Jerusalem administration of mayor Teddy Kollek destroyed more than 135 houses in the Mughrabi district and dispossessed almost 1,000 Palestinians. At the same time, they drove out the Palestinian residents of the Old City’s Jewish Quarter. They had taken refuge there in 1948 after loss of their homes in West Jerusalem. It is estimated that five to six hundred Palestinian families lost their homes in the Old City following the 1967 war. Dayan also announced that he would like to go further and bulldoze a road through the hills, wide enough to allow “every Jew in the world to reach the Western Wall.” The Wall suddenly meant more to Dayan than ever before. Since then the Wall has become a national icon for most Israelis, the location of civil and national ceremonies, concerts, and the swearing in of elite army units. Revering the Wall, the Temple Mount and historic Jerusalem is for most Israelis not a matter of practicing the Jewish religion but rather an essential aspect of national identity rooted in the history and religious tradition of the Jewish people. Is there any hope for compromise regarding Jerusalem on the part of Israelis? Recent surveys give some reason for optimism. The results of two recent studies indicate that a scaling down of the tension may be possible. Jerome Segal and his fellow researchers found that while questions about the negotiability of Jerusalem as a whole elicited rejection of any compromise on the sovereignty of the city from Israelis, questions about which areas of Jerusalem were the most important to them produced a different picture. Forty-five percent of Israeli Jews “would seriously consider Palestinian sovereignty over Arab settlements and villages previously in the West Bank and now within the borders of Jerusalem.” Thus compromise on sovereignty in more peripheral areas of the city may be possible. As to the Old City and its holy sites, however, opinions were far less flexible. The most important areas to Israelis “as part of Jerusalem” were the Temple Mount and the Mount of Olives, and the Old City itself, unless it is separated into Jewish and Palestinian areas. The Western Wall was “very important” or “important” to 99 percent of the Israelis. An Israeli does not have to be religiously committed to feel strong association with the city and its ancient architecture and religious symbols. Political Zionism appropriated several elements from the Jewish religion, including obviously the noun “Zion” (representing both land and city), for its key symbols. According to Israeli scholar Baruch Kimmerling, “despite Israel’s image as a secular state, most residents are not nonreligious, even if they do not define themselves as ‘religious’” (emphasis added). Aspects of identity common to Judaism and Jewish national history continue to provide unity in the face of Arab opposition. Hence the crescendo of emotion across the Israeli and Jewish spectrum from observant to atheist following the Israeli capture of the Western Wall in 1967, a depth of feeling and commitment that continues till now. Whether there can be any meaningful compromise on the Temple Mount itself in terms of ceding sovereignty to the Palestinians remains to be seen. They regard the same area, known to them as the Haram, as equally significant for religion and national identity.